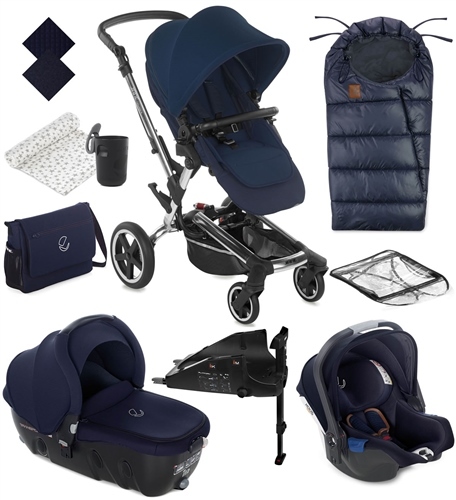 • Pram Changing Bag & Mattress • Isofix Base for Car Seat • Coordinating XL Muslin Cloth. • Pushchair Reversible Seat Liner • Raincover • Extendable UV50+ hood. This travel system package comes complete with the Transporter 2; maximum protection in a carrycot for your baby's first months which can also be used for sleeping and in the car as a lie-flat car seat, ideal for longer journeys. And also including the latest version of the award winning KOOS i-Size infant car seat - the new iSize car seat with dual installation: isofix or seat belt. Comes with the Transporter 2; a carrycot that can also be used for sleeping and in the car as a lie-flat car seat, ideal for longer journeys. Internal Measurements: 20 x 65 x 26 cm (Depth x Length x Width).